Hair is also a part of the body like ears, eyes, nose or skin. But compared with other parts hair is considered more with beauty and less with health. Problems happening to hair is not fatal, but can make psychological effects on the men and women. Alopecia areata is an inflammatory hair loss seen in men, women and children. Commonly seen by patches of hair loss on the scalp and other parts of the body. In severe conditions, it can progress to complete loss of all body hair. Alopecia areata is a serious problem but not a life threatening condition. Small, soft, white patches which are usually round, but can take any shape develops first. It mostly affects the scalp and beard, but can appear on any hair-bearing part of the body. 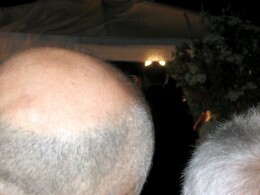 There may be different skin areas with hair loss and re-growth in the same body at the same time. It may also go into remission for a while, or permanently. The area of hair loss can tingle or be mildly painful. The hair tends to fall out for a short period of time, with the loss commonly occurring more on one side of the scalp than the other. Alopecia areata occurs mostly in people who have affected family members, showing that heredity is a factor. Alopecia areata is not communicable and contagious. It is seen that the appearance of this condition is more in people who have relatives with autoimmune diseases. An unknown environmental trigger such as stress combined with hereditary factors is believed to be the cause of this condition. One technique used by medical experts is to gently tug at a handful of hair along the edge of a patch. In healthy hair, no hair should fall out. In cases of alopecia areata hair will tend to pull out easier along the edge of the patch where the follicles are already being attacked by the body's immune system than away from the patch where they are still healthy. The most common type is alopecia areata. When hair may be lost more diffusely over the whole scalp, it can be called Diffuse Alopecia areata. If any where in the head baldness occurs in only one spot, the condition can be called as Alopecia areata monolocularis. If the hair loss occurs in multiple areas, it is Alopecia areata multilocularis. If the patches of the hair loss is only in the beard, the condition is reffered as Alopecia areata barbae. If the patient losses all the hair on the scalp, then it is Alopecia areata totalis. If all the body hair, including the pubic hair is lost the case is called Alopecia areata universalis. Ayurveda suggests special oils, which are good for scalp and hair. Malathyadi thailam: This is an Ayurvedic hair oil which can be applied on the scalp. Massage gently, keep it for 20 minutes and wash. The main component of this oil is Jasminum gradifloeum. The juice of the leaves is used for the preparation of the thailam(oil). Hibiscus shampoo: Use natural shampoo made from Hibiscus flowers or leaves. Take three or four flowers or five-six leaves of hibiscus and boil it with little water. Let it cool and then squeeze the juice and use as shampoo. Hasti dantha mashi: This is a burned fine powder of elephant teeth. Mix it with the juice of Elcipta alba and apply over the affected area. Intake of Madhura bhasma, Loha bhasma, navayasa choorna and Amalaki rasayana is an effective treatment alopecia. A combination of eclipta alba choornam and amalaki choornam is also seen effective. Nasyam (administration of medicated oil through nose) with anu thailam; blood letting and Ksheera vasti(medicated enema using herbal decoction), ghee and milk is also found effective in treating alopecia.